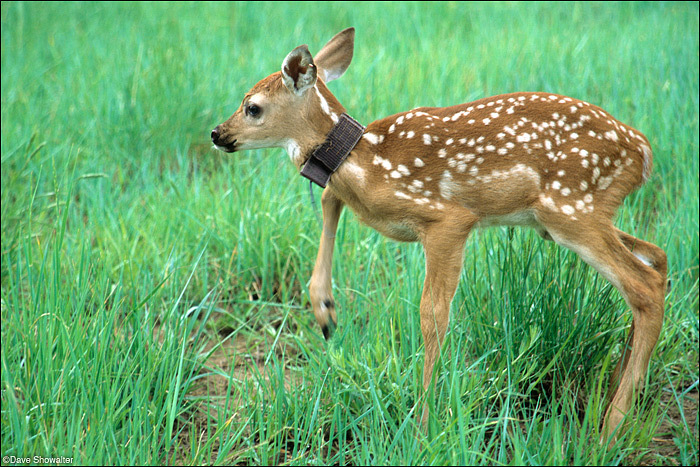 Just released after collaring, a white-tailed deer fawn gains his balance and makes an unsteady escape. The collaring study determined that an increase in mortality was due to coyote predation. Coyote numbers on the refuge are very difficult to track. Odocoileus virginianus. Photo © copyright by Dave Showalter.